No, there is not a from behind shot available. Yesssss. 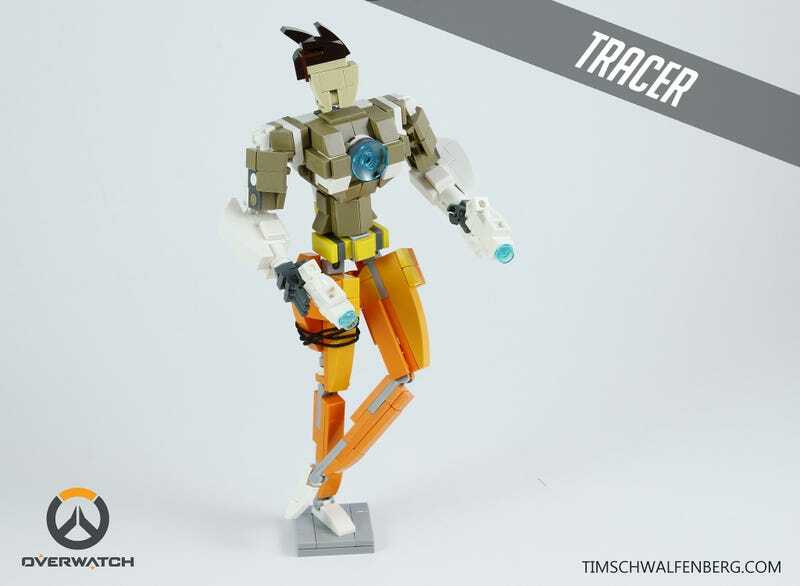 Bring us more Overwatch LEGO characters, Tim Schwalfenberg. Between your glorious Tracer, last week’s D.Va and Dead Frog Inc.’s Zenyatta, we’re well on our way to collecting the whole set. Our friends over at The Brothers Brick are slowly catching Overwatch fever. It’s too late for Omar, and Jennifer will break soon. Who can blame them, given how readily Blizzard’s colorful characters can be recreated by crafty builders. Dead Frog Inc. captures Zenyatta’s cool perfectly. These bright and striking brick builds are screaming for official kits, or at least a compilation of building instructions so we can procure our own pieces and get to work. Toss is some alternate colors so we can get our favorite cheapy skins on. I didn’t even start playing the game until the D.Va model earlier this week got me interested. Overwatch feeds the LEGO fans, LEGO feeds the Overwatch players. More, please.